In our work with thousands of K-12 educators, eduConsulting Firm documented that teachers ask an average 50-plus questions during a 55-minute period—equating to almost a question a minute. When considering these numbers, it is safe to conclude that students may not have sufficient time to process the questions asked. However, little time may be needed, as the typical questions posed tend to require one-word, right-or-wrong responses. To move student engagement to high levels of academic rigor, we encourage teachers to not only PLAN 5 open-ended, highly cognitive questions but also engage students in doing the same! Posing the answer and asking students to justify it with proof from a supporting text, class notes, and prior knowledge vary learning outcomes. For example, the closed question Is honey a liquid? could easily be revised to How do we know that honey is a viscous liquid? This revision not only promotes student competence by giving them the answer but also requires a higher cognitive process to prove the question’s inherent validity. Focusing on the processes required for obtaining the answer rather than simply focusing on the answer itself is an effective means of assessing student understanding. For example, the question Can 4/8 be reduced? could be revised for higher critical thinking: We know 4/8 can be simplified. What do we need to do? More important than the answer is ensuring that students know how to obtain it. Presenting questions that explore opposites, differences, and exceptions require students to demonstrate sophisticated understandings of learned concepts. For example, the question What makes a good story? is a great open-ended question but could be revised for maximum impact by focusing on differences. A possible revision for the question could be Which openings of these two stories do you prefer and why? This version remains open-ended, requires students to employ the evaluative cognitive domain, and embeds opportunities to compare and contrast texts. The entire intent of PLAN 5 rests in the planning. Teachers are encouraged to ask a thousand questions but PLAN 5 rigorous, highly cognitive, open-ended questions that facilitate student thinking beyond one-word, right-or-wrong responses. 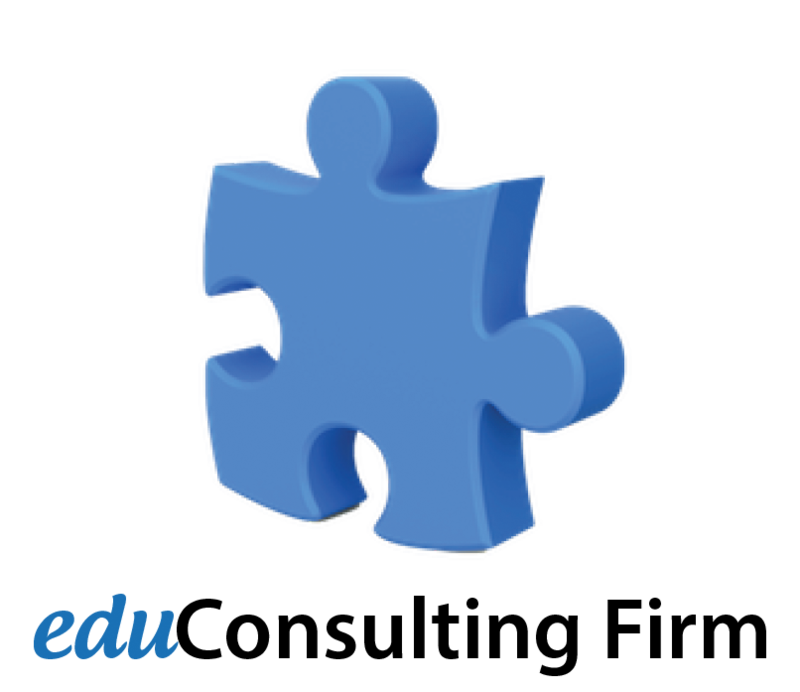 Through eduCoaching, we have observed countless teachers who are doing all of the work, posing all of the questions, and thus executing all of the thinking. Generating thoughtful questions that facilitate high levels of thinking and foster engaging discussions is an intensely creative process, ranking as one of the highest skills on the Revised Bloom’s Taxonomy. Students can benefit from the range of cognitive engagement that is cultivated by generating questions of their own. Questions require the inquirer to demonstrate complex levels of conceptual understandings about the content. The more thoughtful and intentional the question, the more the individual exhibits his attentiveness to and participation in learning new content. 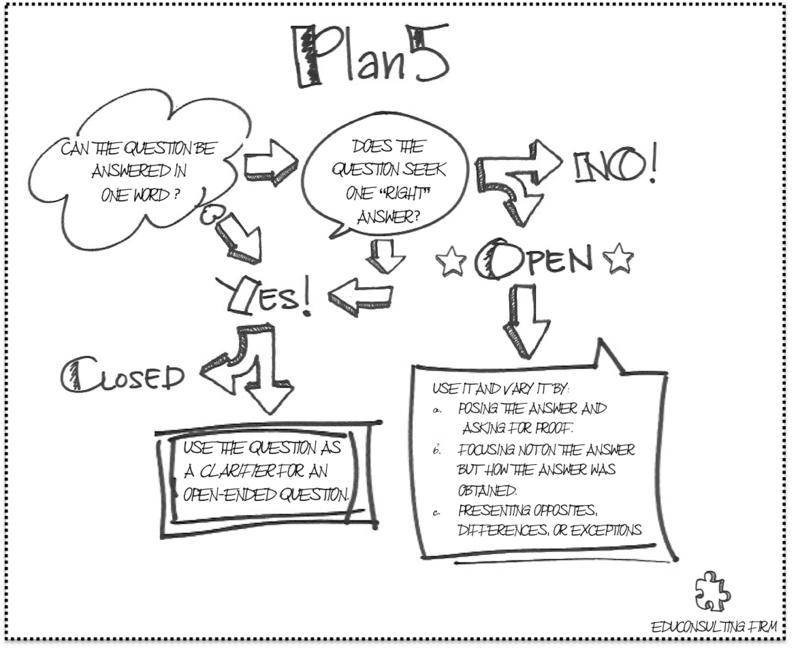 Although students can use the PLAN 5 graphic to evaluate the effectiveness of their own open-ended questions, students should be directly taught how to generate effective questions. Introducing students to types of questions prepares them not only to generate more powerful questions but also preps them to answer questions purposefully, increases intentional responses on assessments, and facilitates college and career readiness. Providing students with tools such as the Bloom’s Question Stems will equip them to formulate questions intentionally and deliberately. Asking students to generate questions using stems from specific categories (e.g., comprehend, analyze, and evaluate) will scaffold learning, require thoughtfulness about the inquiry intentions, and add personalized depth to content acquisition. Opportunities that allow students to PLAN, ASK, and ANSWER 5 questions from their peers create collaborative learning environments in which students are active and accountable participants in their learning. Want more methods for effective questioning? Previous Post Our Hottest Post Yet: Forget the Box–Think Outside the Can!